Home / Atty. Jesus Falcis / Entire Philippines / Kris Aquino / Kris Aquino Viral / Kris Aquino vs. Nicko Falcis / Nico Falcis / Viral Videos / Watch: Netizens Slams Kris Aquino for Allegedly Saying "The Entire Philippines Trust Me"
Watch: Netizens Slams Kris Aquino for Allegedly Saying "The Entire Philippines Trust Me"
Netizens took to social media as they reacted on the latest controversy involving Kris Aquino for the alleged death threats against Nicko Falcis which was recorded and posted online by unknown individuals. 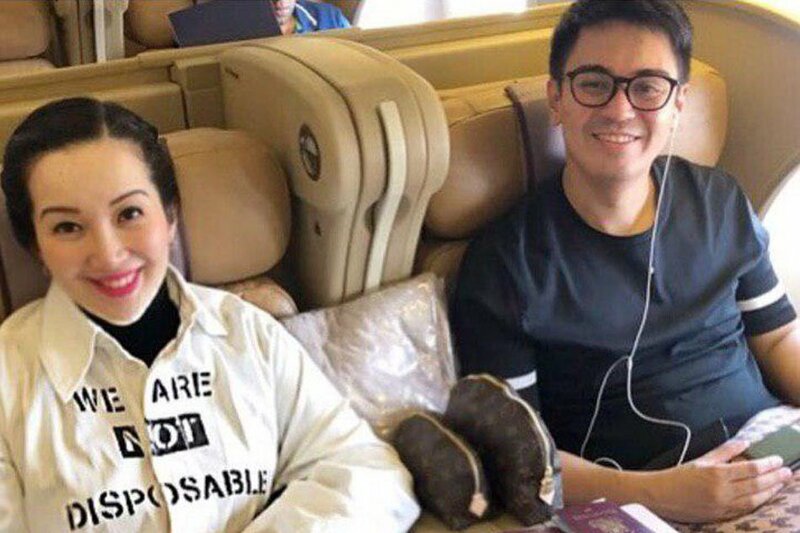 The viral alleged conversation between Kris Aquino and Nicko Falcis spreads like wildfire on social media after a certain Brent Benedictos uploaded the audio conversation wherein Kris Aquino allegedly stated that the entire Philippines trust her. The statement of Kris Aquino caught the attention of most netizens who saw the viral video and audio conversation as they reacted and slammed the former Presidential sister and considered as one of the most bankable star of her generation, Kris Aquino. According to Karen V. Kasai, Kris Aquino is indeed delusional on her statement that the entire Philippines trust her. She was quoted as saying "Kapal ng mukha the ENTIRE PHILIPPINES TRUST ME ansabeeeeeee? ganun ka kapowerful???? isang malaking PWE." MrDeimos05: the entire Philippines trust kris daw...bwahahaha...the entire philippines wants you and your clan dead. Aquinos are the curse of the Philippines. the curse gets dispelled when kris and her clan are dead﻿.